Phil is a highly versatile corporate responsibility and sustainability professional with over 19 years multi-sector experience in creating and driving innovative industry-leading and award-winning programmes that deliver significant business value. 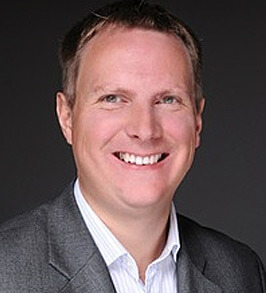 Phil developed and managed the delivery of the award-winning sustainability strategy for the London 2012 Olympic Games and Paralympic Games, widely regarded as the most sustainable Games in modern Olympic history and heavily influenced the International Olympic Committee (IOC’s) Olympic Agenda 2020. More recently, he has developed a strengthened and clearer operational delivery and governance framework for Kingfisher plc’s industry-leading and award-winning Net Positive plan. He is currently supporting a number of organisations create more business value through sustainability. Over the last 19 years, Phil has had the opportunity to work around the world and support a wide variety of companies in the private, public, and not-for-profit sectors including those in retail, events and hospitality, FMCG, food and drink, construction, chemical, logistics / transportation, ICT, government, financial services, defence and waste management industries on a range of topics related to sustainable development. Acting in a non-executive capacity, he is on the Board’s of Julie’s Bicycle a leading sustainability charity working with the music, theatre and creative industries; and Resource Futures an employee-owned, Certified B Corp with a 25-year heritage of promoting sustainable resource management. Acting in an advisory capacity, Phil has and continues to sit on various national and international multi-stakeholder advisory groups and committees. He was appointed Chair of BSI’s Sustainable Resource Management Committee (SDS/1/10) which developed BS 8001 – believed to be the world’s first framework British Standard for implementing the principles of the Circular Economy in organisations. Other roles have included holding prominent positions on the national and international committees responsible for developing BS 8901:2009 (a standard inspired by the London 2012 Games) and then its international successor – ISO 20121:2012. In recognition of his skills and expertise and the contributions he has made to the wider profession, Phil has also been appointed to IEMA’s Strategic Advisory Council. Phil speaks and writes thought pieces on sustainable business practice. He is a Chartered Environmentalist, a Chartered Waste Manager and an IEMA Registered Environmental Auditor. Phil is an outdoor enthusiast and as an experienced hill walker and kayaker tries to get out into the mountains or onto the sea with his wife, son and daughter as much as possible. Having recently started a family Phil is embarking on the next stage of his life and career. As his wife is a New Zealander the name “Koru” seemed the perfect choice to adopt for this website and his consultancy work. 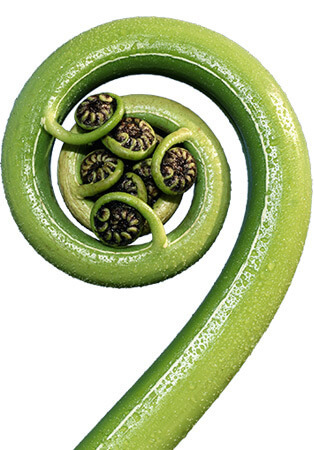 Maori for “loop”, koru is the spiral shape of the unfurling of a silver fern frond. It means new beginnings, harmony, growth and life. Its circular shape conveys the idea of perpetual movement and its inward coil suggests a return to the point of origin. Sustainability is the goal of sustainable development. Simply put, it is about doing ‘more good’ rather than ‘less bad’. It is a values-based approach that involves the simultaneous pursuit of economic prosperity, social progress and environmental stewardship in order to meet our needs today while sustaining the resources, both human and natural, that will be needed tomorrow. As sustainable development is the means by which we move towards sustainability, koru is symbolic of this process. It is a reminder of our past and the future generations that are to come. It represents renewal and hope for the future.